A twist of fate in Shakespeare’s “Cymbeline,” unites Imogen with Guiderius and Arviragus, her two long-lost brothers. Imogen is disguised as a boy and calls herself Fidele. She falls ill and takes a restorative which makes her sleep. In her sleep she looks dead. In essence, what Guiderius is saying is that death comes to us all in its own sweet time, no matter who or what we are in the world. Looked at another way, people must learn to reconcile with death, the relentless reaper. The MDC-T family and the Tsvangirai family are in mourning as indeed is the whole of Zimbabwe across the political divide. It is natural that the bereaved country should feel it is much the poorer because of the demise of Morgan Richard Tsvangirai, the trade unionist who morphed into a politician of note in his time. Indeed, any person’s death should and does diminish us because we are involved in humankind. 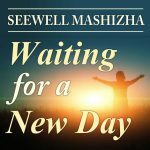 In our present circumstances empathy is, a natural response to the death of the leader of the most powerful opposition party in Zimbabwe’s post-independence era – a party that can at some future date give the country an alternative governance model. 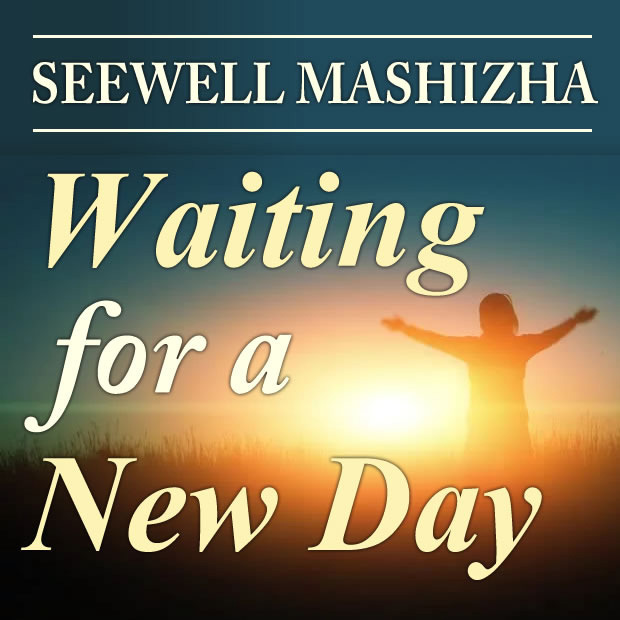 Willy-nilly we find ourselves reminiscing about Save as Tsvangirai is often referred to. In that reminiscing some evaluation is inescapable. We have to ask what Tsvangirai’s legacy is. In the process of doing that both positives and negatives will inevitably crop up. This is a natural development, particularly when talking about someone like Tsvangirai who has tended to be a larger than life character. Accordingly, the jury is still out on what the nature of Tsvangirai’s legacy is. There is, therefore, no shortage of angles of vision regarding this issue as columnist after columnist has a go. 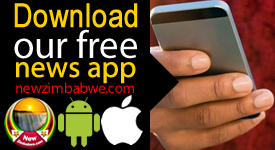 According to a local columnist, Morgan Tsvangirai was a tragic hero. Says the sharpshooter, Aristotle, the Greek philosopher characterises a tragic hero “as someone who confronts his downfall due to fate, or by his own mistakes or (for) any other reason.” According to the sharpshooter Aristotle further defines a tragic hero as someone whose misfortune comes through errors of judgement. While recognizing Tsvangirai’s emotional appeal and charisma, the sharpshooter concludes that whether people want to acknowledge it or not, Tsvangirai had “a plethora of tragic flaws that caused his downfall.” The habitual splits in the MDC should be understood in this light. If then that friend demand why Brutus rose against Caesar, this is my answer – Not that I loved Caesar less, but that I loved Rome more. Had you rather Caesar were living and die all slaves, than that Caesar were dead, to live all free men? As Caesar loved me, I weep for him; as he was fortunate I rejoice at it; as he was valiant, I honour him: but, as he was ambitious, I slew him. We weep for Tsvangirai and wonder why life dealt with him this way. We applaud his valour and celebrate his achievements as we must. However, now that Tsvangirai must find his place in history, objectivity is called for. It serves no useful purpose trying to re-invent the man by glossing over his shortcomings. Nelson Chamisa waxes lyrical in singing Tsvangirai’s praises. Invariably he tries to create a figure and a persona that is idealized. Chamisa’s description of Tsvangirai suggests that the former premier was a faultless politician and a paragon of virtue! Chamisa also claims that Morgan Tsvangirai had everybody’s welfare at heart, a claim that is not that easy to sustain. 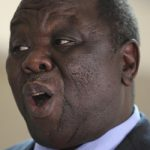 Morgan Tsvangirai is on record on more than one occasion asking external forces to impose sanctions on his own country as a way of expediting his political ascendancy. This line of thinking tended to coincide with the openly-declared American intention of making Zimbabwe’s economy scream. Tsvangirai even suggested that South Africa cut off the electricity it was selling to Zimbabwe. That Tsvangirai was initially opposed to land reform is a well-known thing. During one campaign rally he railed at peasants, accusing them of sprouting everywhere like mushrooms. It was for this reason that the 2013 Constitution entrenched land reform. At another rally in Magunje during another campaign preceding another national election he ridiculed those who voted for ZANU-PF and asserted that none of them had underwear beneath their garments. Eddie Cross once lamented that Tsvangirai could not make up his mind on important issues. He said Tsvangirai always took the advice of the last man to talk to him. As for the integrity that Chamisa keeps harping on, how does a direct lie by the MDC-T president illustrate that? At the time that Tsvangirai was insisting that the MDC boycott the country’s senate elections, the MDC-T voted to participate. 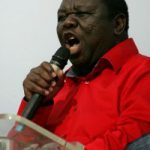 In a singular display of unilateralism Tsvangirai announced at a press conference that the MDC was boycotting the senate elections. One of the people who specifically wanted the powers of the president whittled down was Welshman Ncube. He was later to explain that Tsvangirai could not be trusted to wield the kind of power that the constitution then allowed. In fact he said there was a real possibility of people being decapitated. In his autobiography “At the deep end” Tsvangirai claims to have brought in the multi-currency regime into the country, although it is a matter of record that dollarization “came through the 2009 national budget statement presented to Parliament by the then acting minister of finance, Patrick Chinamasa, on January 29.” Subsequent to the inauguration of the GNU, Tendai Biti, the new Finance Minister reviewed the budget. Tsvangirai’s arbitrariness seems to have taken root in the party. This is tragic for a party calling itself a movement for democratic change. The hallmark of such a party has to be constitutionalism. Tsvangirai trampled upon his party’s constitution when he extended his term of office beyond the agreed two terms. Now Nelson Cobra Chamisa has tried to do the same by usurping the powers of congress and having himself elected acting president by a lesser body, the national executive council. 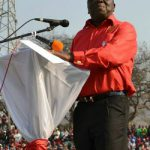 The jockeying behind the scenes and the not-so-covert posturing at a time the MDC-T should be in mourning leaves a sour taste in the mouth. The party could even have declared a period of national morning. That there was always going to be internal disaffection around this issue that has the ability to clone ZANU-PF’s “bhora musango” phenomenon in the MDC-T in the coming elections should have been obvious to Chamisa. The MDC-T narrative tends to embrace things whose historicity is debatable. With the pending elections we find a number of spectacular claims being made, chief of which is the assigning to Tsvangirai of the title “Father of Democracy” in Zimbabwe. This is despite the fact that it is accepted fact that in 1999 the British and the Americans funded the MDC as part of their drive to reverse Zimbabwe’s land reform. Chamisa is the apparent new big man in the MDC-T. His intentions are clear, but his methods are suspect. Owing to the groundswell against his attempt at an unconstitutional power-grab, Chamisa is now saying that the MDC-T’s constitution will resolve issues around succession.